On behalf of the Palfinger AG LISSMAC developed an automated plant for removal of the oxid layer with integrated stacking function. Moreover, the integration of the plant in the existing automatic production line was required. Vertical operating brushes remove the oxide layer on all longitudinal edges of 20 - 50 mm thick sheet steel parts. When the sheet steel parts enter, the positioning of the brushes is effected fully automaticly. 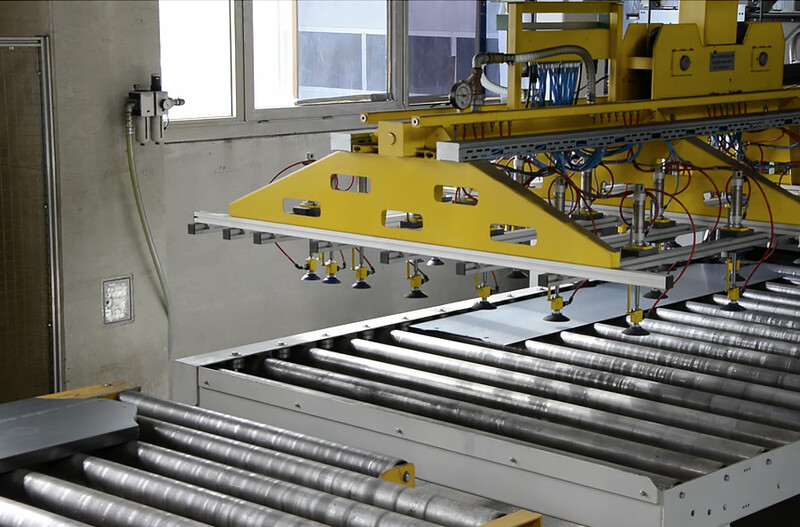 Feeding is carried out via a roller conveyor and taking-off via a roller conveyor with additional vacuum gripper for stacking of the sheet steel parts.